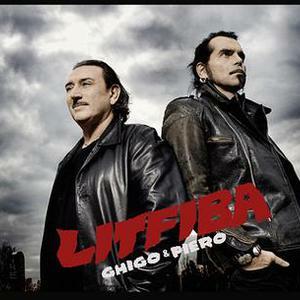 Litfiba is an Italian rock band formed in Florence in 1980 and still active. The meeting of 5 punk (though it was then on the decline), new wave and simply rock music fans with then no musical background gave birth to Litfiba. The band was born in Florence in 1980. The name Litfiba is the mixing of several words: Localit? ("place"), ITalia (Italy), FIrenze ("Florence") and via dei BArdi ("Bardi street" where the band was based). The meeting of 5 punk (though it was then on the decline), new wave and simply rock music fans with then no musical background gave birth to Litfiba. The band was born in Florence in 1980. The name Litfiba is the mixing of several words: Localit? ("place"), ITalia (Italy), FIrenze ("Florence") and via dei BArdi ("Bardi street" where the band was based). The original band was composed of four members: Federico Renzulli (nicknamed Ghigo) on guitars, Gianni Maroccolo on bass, Sandro Dotta on solo guitar (who left the band after a few weeks) and Francesco Calamai on drums. Vocals were then performed by Renzulli. Antonio Aiazzi on keyboards and Piero Pel&ugrave; on vocals joined the band shortly after. From the early 1980s until now, the band evolved from a British influenced new wave pop-rock to a more personal and inspired rock music, always with Italian singing. Litfiba is often considered Italy's most important and influential rock band. Piero Pel? left the band July 11th, 1999 pursuing a solo career. Ghigo then decided to follow on immediately with a renewed and rejuvenated band. New singer Gianluigi Cabo Cavallo, bass and drums player Gianluca Venier e Ugo Nativi from the funk-rock band Malfunk join Litfiba. In the beginning of November 2006 Cabo decided to leave Litfiba.